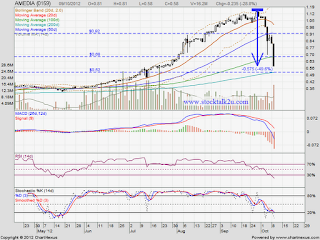 Oct 3, 2012 break MA20 support level. 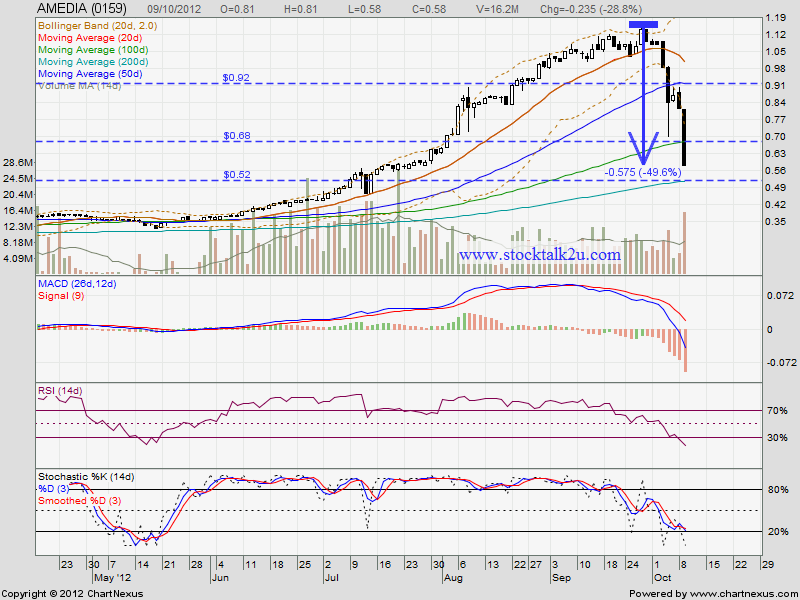 Oct 4, 2012 break MA50 support level. Oct 9, 2012 break MA100 support level. How about MA200 support level? Will it be the support & technical rebound? Stochastic %K already @ oversold stage & NO BUY call yet. Immediate resistance @ MA100 level. Immediate support @ MA200 level.